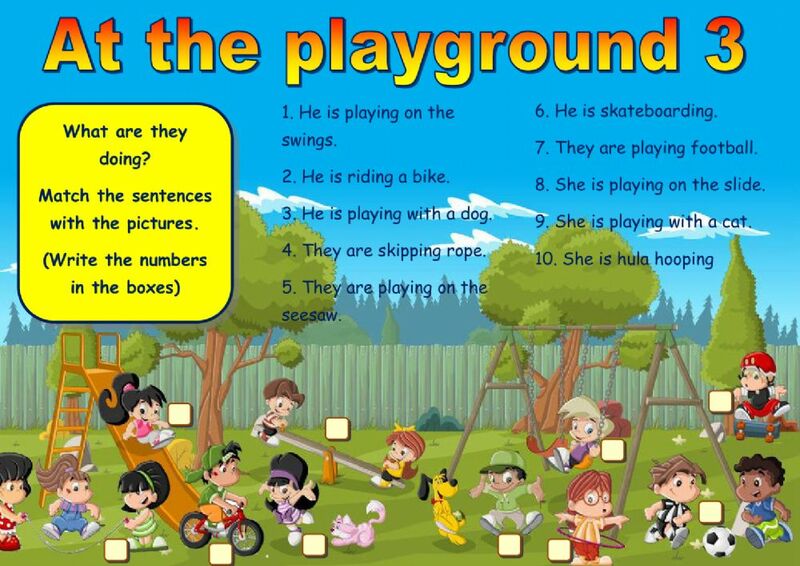 Third worksheet on playground vocabulary. I hope you like it! Copyright 2/1/2017 Víctor Gayol. Publication or redistribution of any part of this document is forbidden without authorization of the copyright owner. Great set of ex-es for describing pictures and practicing Present Continuous! Thanks a lot!